Enter Clay, an aspiring young molder who travels to the city to take part in a golem-building contest-the winner of which will become the guardian of the city's treasury! When dark forces learn of Clay's unique skills, he becomes a target worth more than the city's coffers. 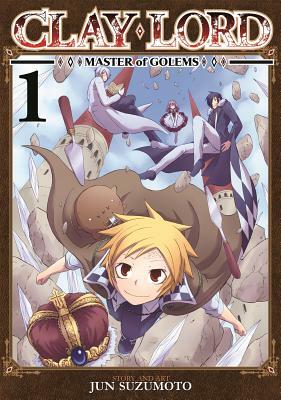 Luckily, Clay has three golem friends who will do anything in their power to protect him. Join fledgling golem-maker Clay and his eccentric companions as he embarks on a journey of grand adventure!